Capital City Products Company, 525 W 1st Ave. in 1937. 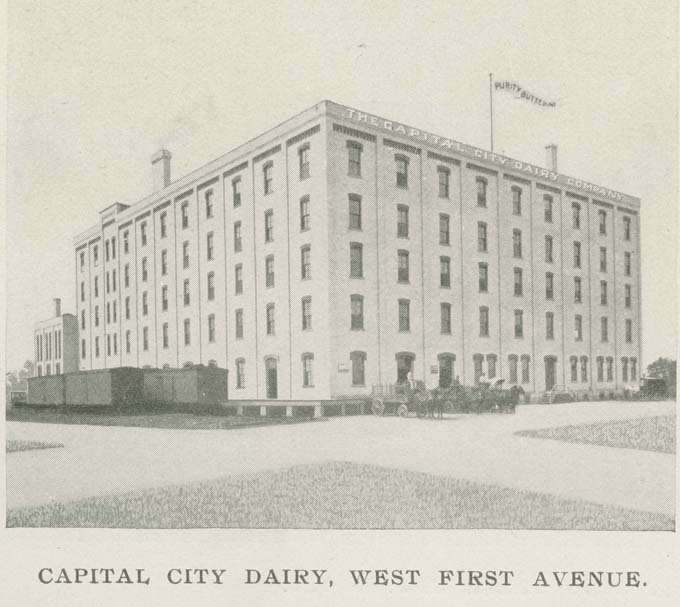 Capital City Dairy Company, manufacturers of margarine. In 1900 Capital City Products Co. was the largest manufacturer of margarine or “butterine” in the United States. 20th Century History of the Columbus Trades OH331.8809771 T971, p. 110.